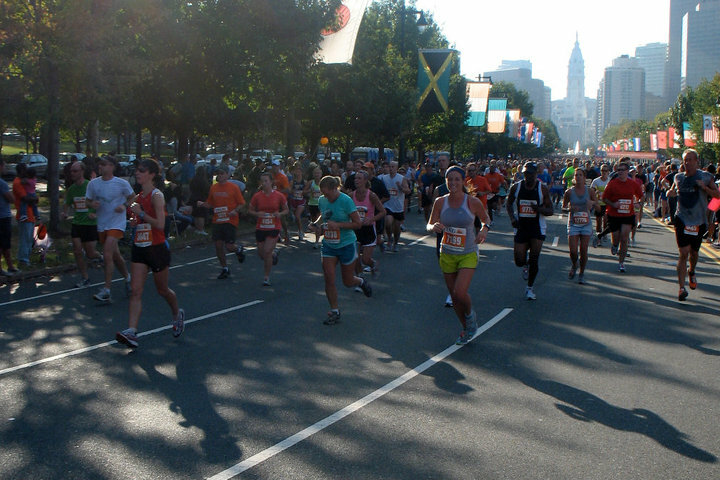 On September 19, 2010 I ran my first half marathon ever – the Philly Rock ‘n Roll Half Marathon. I entered the race excited and eager to set a good time – under 1:40. 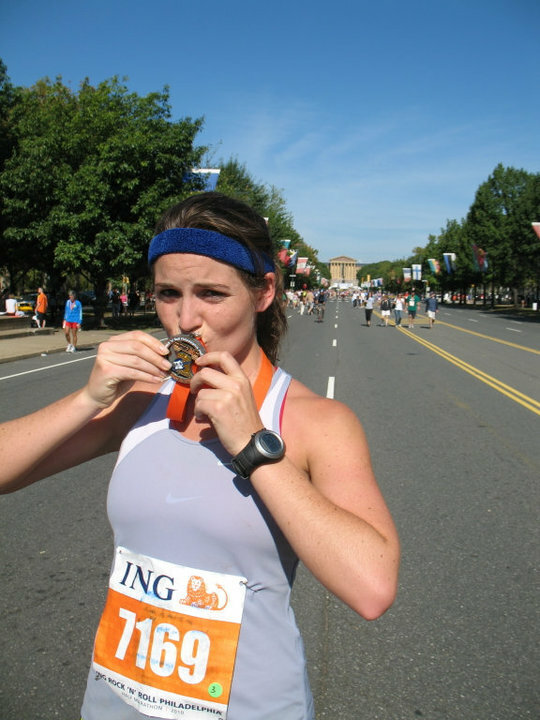 I hadn’t run a race since the Philly Broad Street Run back in May 2010, and was pumped to experience the energy that surrounds a race. The weather on race day was gorgeous – high 60s and clear. I decided to race without my ipod. While I was worried about keeping focused without music, I figured it would be good mental practice in preparation for the Marathon in November. Plus the Rock ‘n Roll races have live bands stationed along the race, so I’d have music and cheering fans to keep me energized. The Philly Half was a fairly easy course – mostly flat. What became my biggest challenge was the couple of boring miles of the race towards the end, and a hip cramp that nagged me for the last 3 miles. However, victory over the clock is sweet. I cranked out a 1:39:52 time – just under my goal. That time placed me in the top 3.4% of females and top 8.6% of all participants – female AND male. Not a bad first half marathon! I am running the Atlantic City Half Marathon on October 17, 2010 – with the hopes of cutting my time down to 1:35. I ran the race in Mizuno shoes (my new favorite), which never gave me any discomfort or problems, and Nike socks, shorts, bra and top. Body-glide is a racing must, and I didn’t have any gel packs during the race. This was the first race with my Garmin, which worked amazingly minus the couple of time it lost satellite between buildings. After the race, I celebrated the best way possible in Philly – with a cheese steak, fries, Oktoberfest, and my best friend. The perfect ending to a great life experience. ~ by Elizabeth on September 30, 2010. The best way possible in Philly? Try the best way possible IN THE WORLD!! Just glad that I could be a part of it. You’re amazing! !